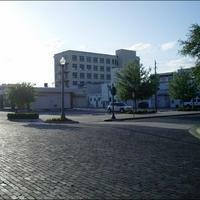 The parking lot on the northwest corner of South Magnolia Avenue and East Second Street in Downtown Sanford, Florida, in 2012. 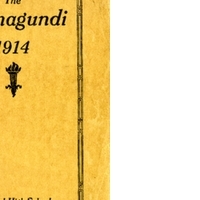 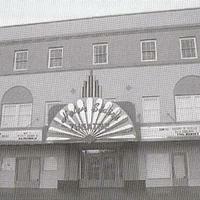 In the 1920s, a building designed by architect Elton James Moughton was located here. 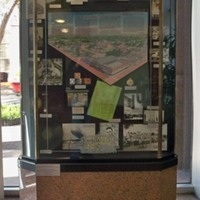 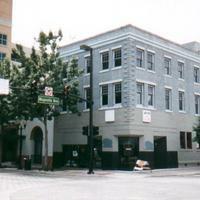 The Downtown Orlando Information Center with the BB&T Bank building in the background. 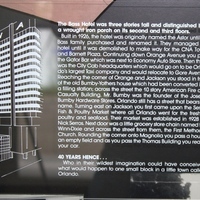 The Barnett Plaza was built in 1962 and was the location of the CNA Tower. 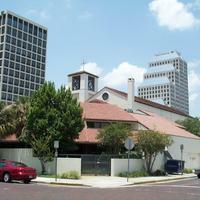 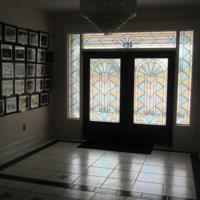 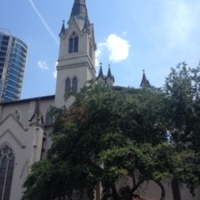 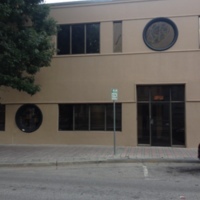 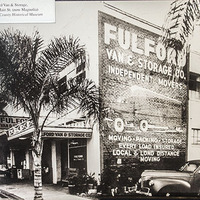 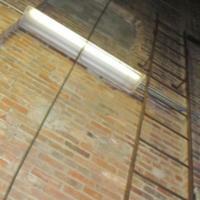 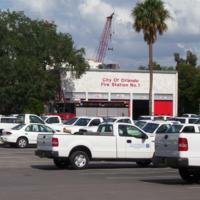 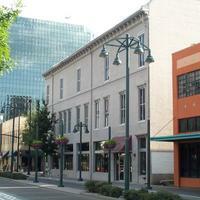 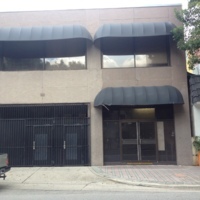 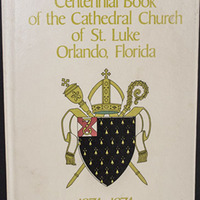 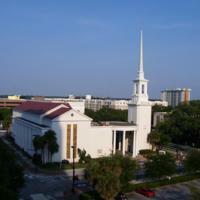 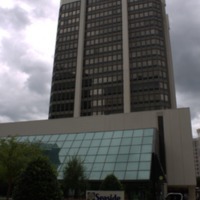 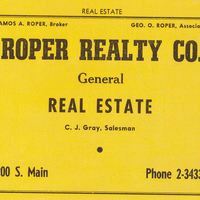 The center is located at 400 South Orange Avenue in Downtown Orlando, Florida. 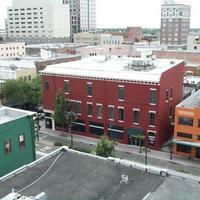 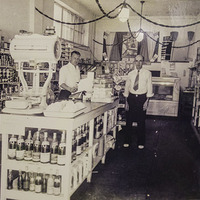 The Main Street Market, located at 137 Main Street (present-day North Magnolia Avenue) in Downtown Orlando, Florida. 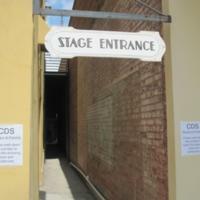 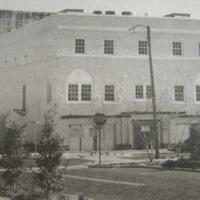 The current stage entrance of the Wayne Densch Performing Arts Center, which was formerly the segregated colored entrance at the Milane Theatre and later the Ritz Theater. 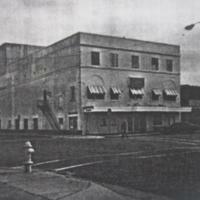 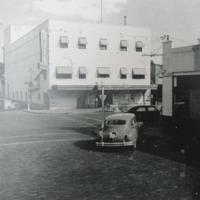 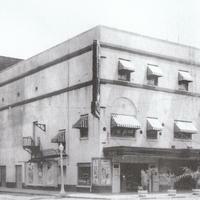 Corner view of the Ritz Theater from South Magnolia Avenue and East Second Street in the 1930s. 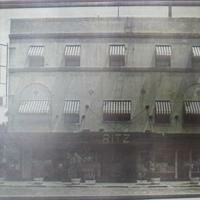 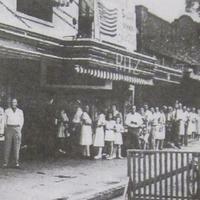 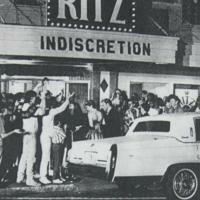 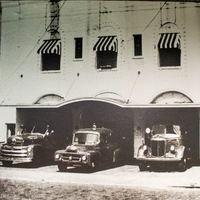 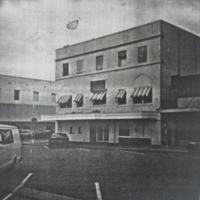 Photograph of the Ritz Theater in the 1950s. 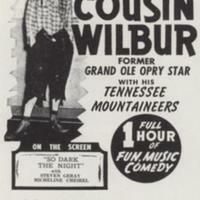 Advertisement for Cousin Wilbur, a "hillbilly comedian", and the Tennessee Mountaineers' performance at the Ritz Theater on May 19, 1946. 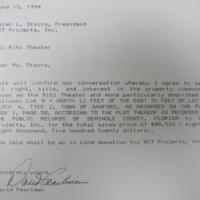 Letter to Helen L. Stairs from David Pearlman confirming the sale of the Ritz Theatre to RCT Projects, Inc. 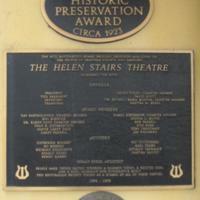 Tags: Helen Stairs Theatre; Magnolia Avenue; Pearlman, David; RCT Projects, Inc.; Ritz Theater; Stairs, Helen L.
Newspaper article on the Milane Theatre's ticket booth, designed by H. S. Selleck and built by Sanford Novelty Works. 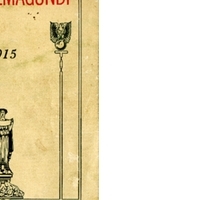 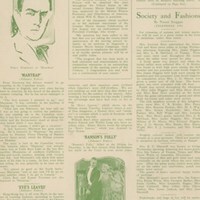 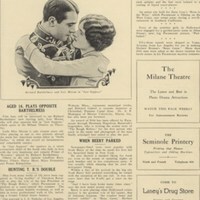 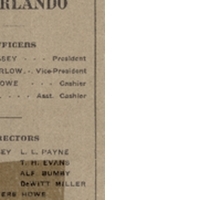 Tags: Coller, V. C.; Magnolia Avenue; Milane Theatre; Sanford Novelty Works; Selleck, H. S.; ticket booth; Wise, H. E.
Newspaper article announcing WJZ's broadcast from the Milane Theatre planned to air June 25, 1926. 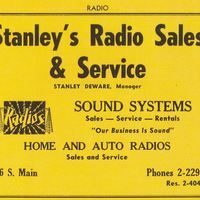 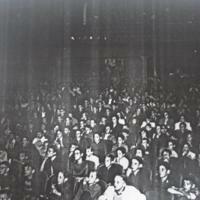 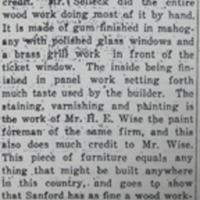 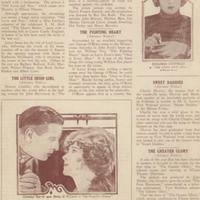 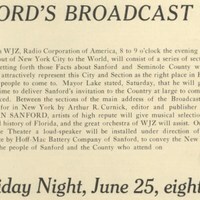 Newspaper article on the WJZ broadcast at the Milane Theatre of a Sanford and Seminole County program of information and music to an audience of 8,000,000 radio listeners. 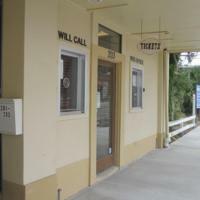 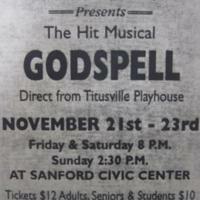 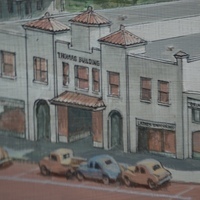 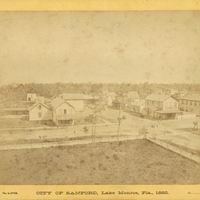 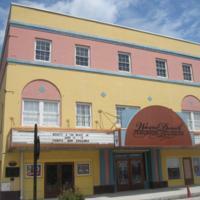 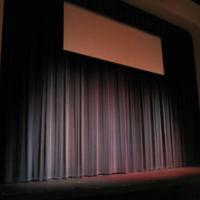 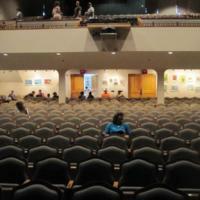 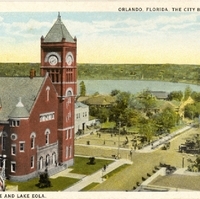 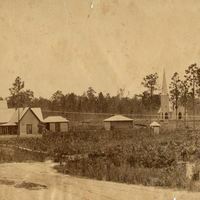 Photograph of the Opera House in Sanford, Florida. 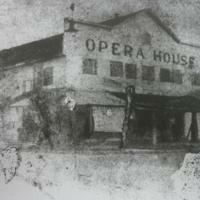 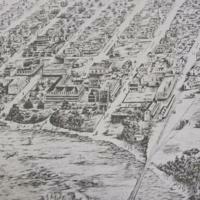 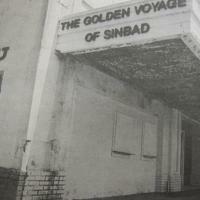 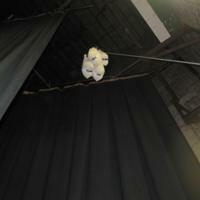 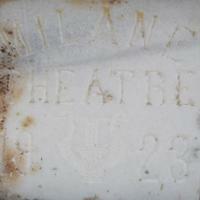 The Opera House was first replaced by the Star Theatre and then later the Milane Theatre. 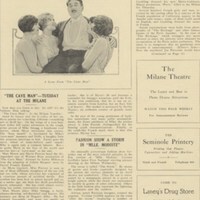 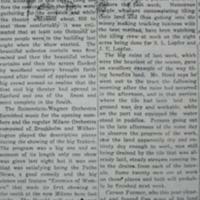 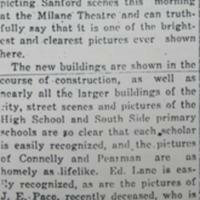 Newspaper article about the opening of the newly-built Milane Theatre, which was highly successful with a sold out house. 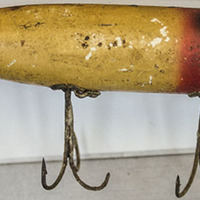 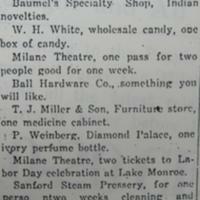 Tags: Ball Hardware Company; Banumel; Baumel's Specialty Shop; Bower, R. C.; Churchwell's; country store; country store night; Diamond Palace; Gillon, J. M.; Lloyd Shoe Store; Magnolia Avenue; McMullen; McMullen's Barber Shop; Milane Theatre; Miller, T. J.; Ritz Theater; Sanford Steam Pressery; T. J. Miller & Son; The Sanford Daily Herald; Weinberg, P.; White, W. H.
Tags: Bathelmess, Richard; Beau Geste; Berry, Noah; Born to the West; Brenson, Herbert; Curnick, Arthur R.; Davis; DeJesu, Peter; Dwan, Allan; Eve, A. S.; Fernandez, Bijou; French Foreign Legion; Gabori, Edward; Gray, Gilda; Grey, Zane; Hagedorn, Herman; Hones, William; Hopper, Frank; Just Suppose; Kerr, Geofrrey; Koronia; Laney's Drug Store; Lejaune, Adjutant; Magnolia Avenue; McGill University; Mercer University; Milane Theatre; Montague, A. P.; Moran, Lois; Moshell, Judson; Naval Training Station; Nicholas, J. 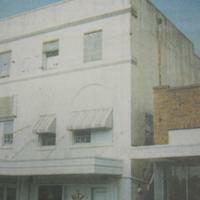 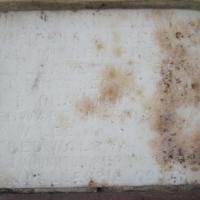 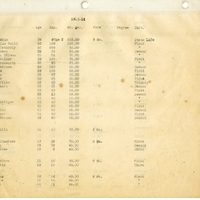 A.; Nunnally's Candies; Olson, O. 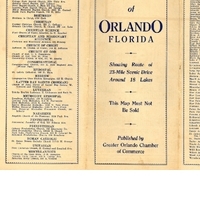 B; Padlocked; Paramount; Rokneddine, Prince; Roosevelt, Theordore; Rough Riders; Rough Riders Regiment; Seminole Printery; Short, Harry; Stella Dallas; The Rough Riders; This Week in Sanford; Vibart, Henry; Whitman's Candies; Wren, P. C.
Newspaper article on Amateur Night at the Milane Theatre, located in Sanford, Florida. 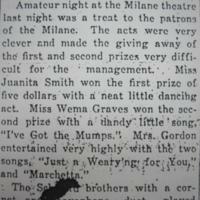 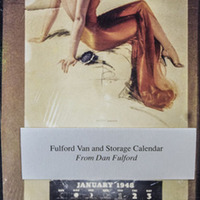 Juanita Smith won first prize and Wema Graves came in second. 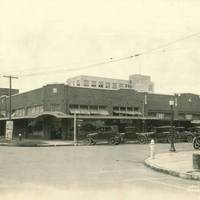 Tags: 7-Eleven; Atristry; Central Avenue; Central Blvd. 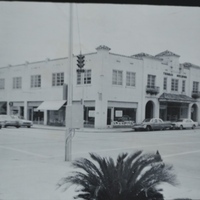 ; Central Boulevard; Central Bv. 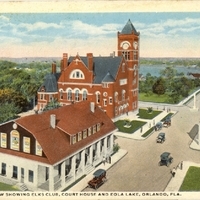 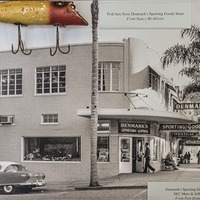 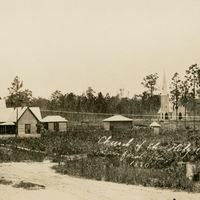 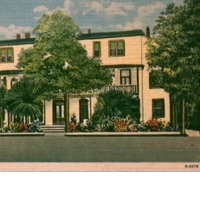 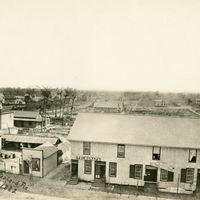 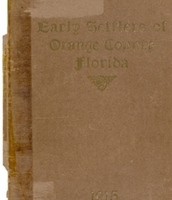 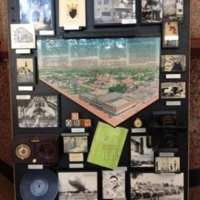 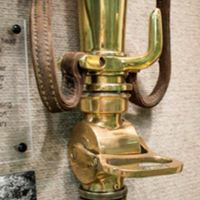 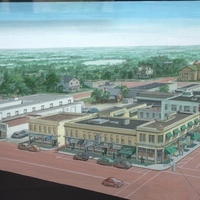 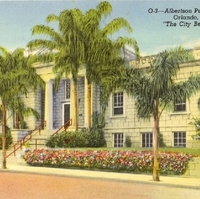 ; Central Station Bar; Cook, Thomas; Dent, Edward John; Florida Gas Company; Florida Gas Go,; Florida Public Service Corp.; Florida Public Service Corporation; Lake Eola; Magnolia Ave.; Magnolia Avenue; Main St.; Main Street; McEwan Clinic; McEwan Sanitrarium; McEwan, John Singer; Newell, Harry; orange county; Orange County Courthouse; Orlando Lawn Bowling Club; Sherman W. c.; W. C. Green Co.; W. C. Green Company; Wagner, A. S.
Tags: Holy Cross; Holy Cross Church; Holy Cross Episcopal Church; hurricane; Magnolia Ave.; Magnolia Avenue; Sanford, Gertrude Dupuy; Sanford, Henry S.
Tags: fire; Holy Cross; Holy Cross Church; Holy Cross Episcopal Church; hurricane; Magnolia Ave.; Magnolia Avenue; Sanford, Gertrude Dupuy; Sanford, Henry S.
Tags: Holy Cross; Holy Cross Church; Holy Cross Episcopal Church; hurricane; Hurricane of 1880; Magnolia Ave.; Magnolia Avenue; Sanford, Gertrude Dupuy; Sanford, Henry S.
The Holy Cross Episcopal Church, located at 410 South Magnolia Avenue in Sanford, Florida. 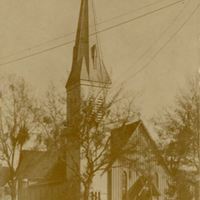 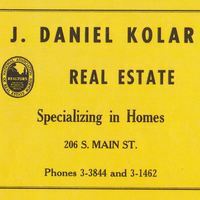 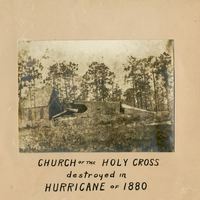 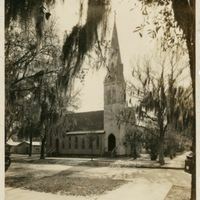 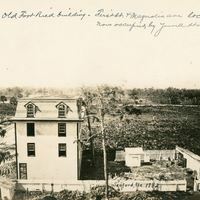 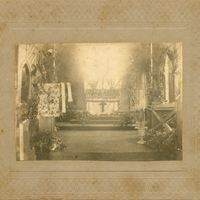 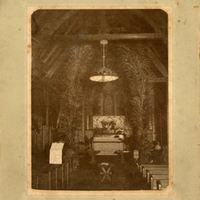 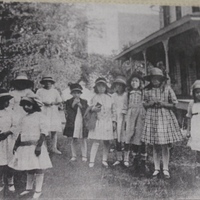 The photograph was likely taken before the building burned down in November of 1923.